Made from our classic 100% cotton canvas with water resistant and scratchproof coating. Easy to clean and BPA free. 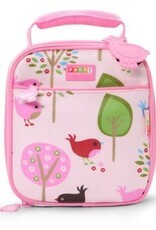 This School Lunch Box is thermal lined for insulation and comes in a funky Chirpy Bird print. 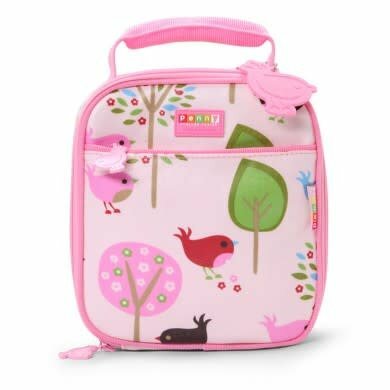 Buy now and make it easy to split up food for recess and lunch with two compartments. It is designed to fit inside our Penny Scallan backpacks and has a chunky zip with metal embellishment.